This woman needs your help. Police seek help identifying an elderly woman found wandering inside a Brooklyn store. 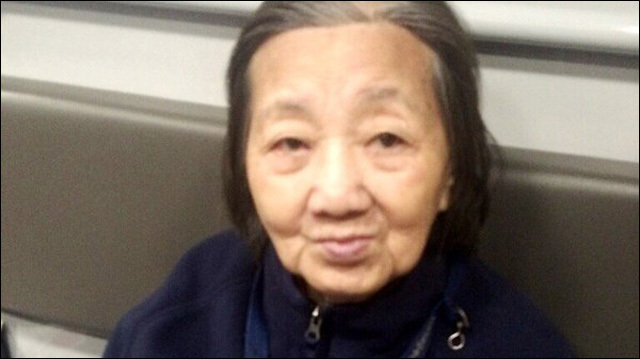 In New York, police are asking for the public's help identifying an elderly Asian woman who was found wandering inside of a downtown Brooklyn Sephora store on Saturday afternoon. Police say the woman was found around non wandering inside the Sephora store at 201 Joralemon St. Through an interpreter, it was determined that the woman's speech was incoherent and she could not provide a name or contact information for anyone she knew. The woman stands 5-feet-tall and weighs 100 pounds. She is believed to be between 80 and 90 years old. She was found wearing a green, blue and red sweater; a black winter hat; black pants; black shoes and had keys tied around her neck on a necklace. She does not speak English. Anyone with information is asked to contact police at 1-800-577-TIPS (8477), or by visiting www.nypdcrimestoppers.com, or texting 274637 (CRIMES) then entering TIP577.